SPI Connector BlackTM is a proprietary duplex layered plating and blackening process for Electronic Connectors, Enclosures or other substrates that need to meet the stringent requirements of MIL-DTL-38999 or commercial specifications requiring Cadmium alternative coatings. SPI Connector BlackTM is easily distinguishable from PTFE, Aluminum Electroplate and Cadmium/Olive Drab coatings. This ability to identify the coating from other cad alternatives is necessary to ensure that incompatible connections are not made in the shipyard, aircraft or vehicle assembly shops. 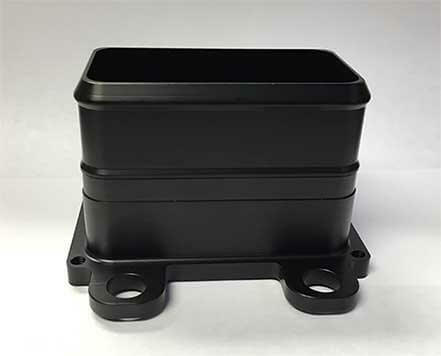 For More SPI Connector BlackTM Plating Information – Contact Us Today!